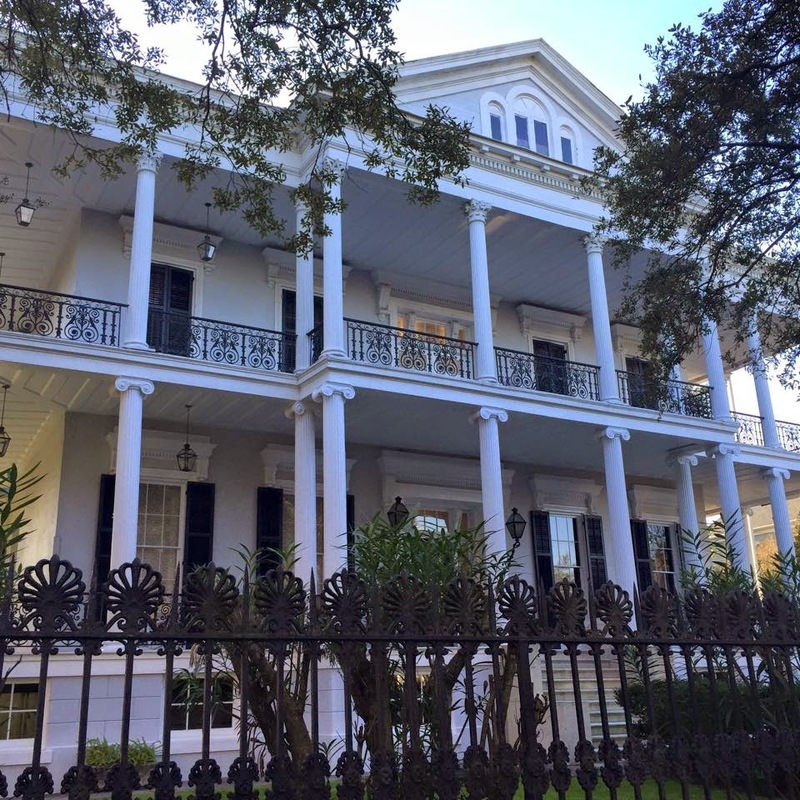 Here are some more pictures from where I went in New Orleans. Hope you all enjoy! 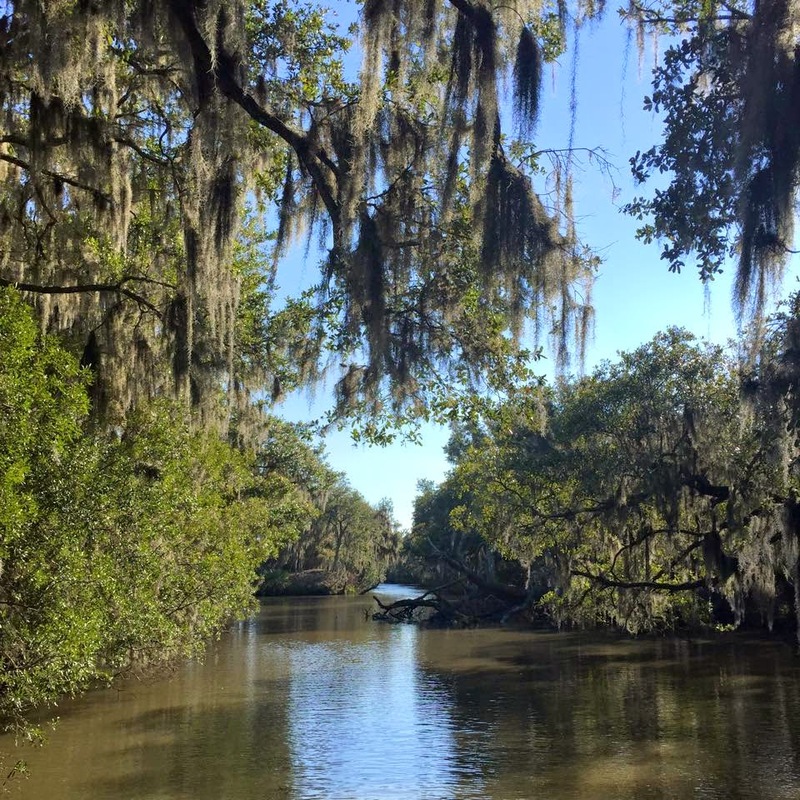 I went on a swamp tour one of the days, and it was probably the best part of my trip. The small airboat we went on went about 45mph and it felt like I was traveling through the swamps in The Princess and the Frog. It was so calm and beautiful, and although I didn't see as many animals I had expected/wanted to, it was great. 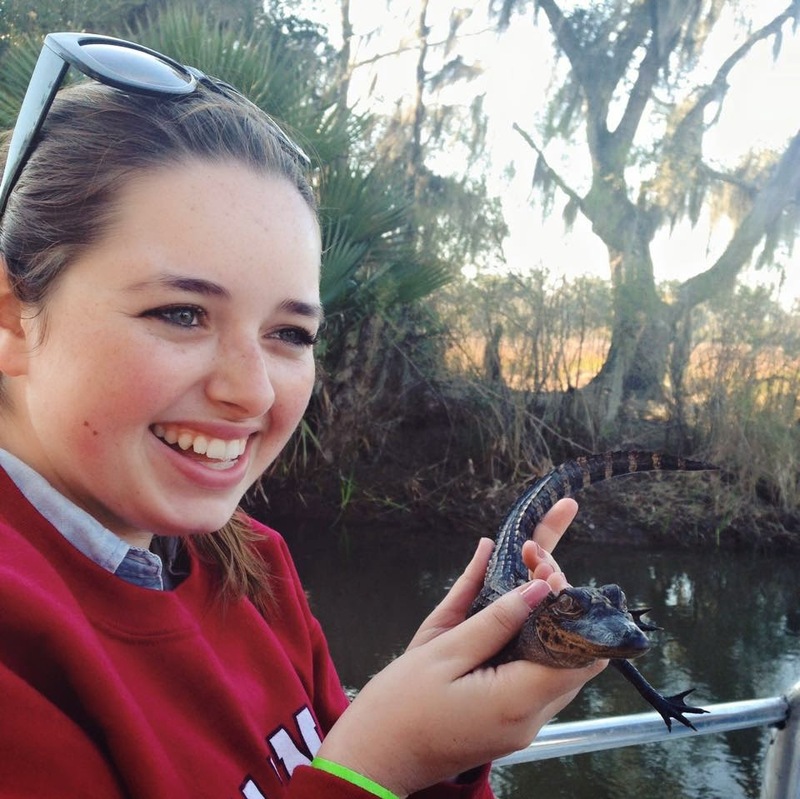 My absolute favorite part of the swamp tour was holding this little guy! His name was Bob and he was so cute. He's a baby alligator, under a year old, and he was super soft. The second time I held him he got a little frustrated though, and I almost threw him back at the boat driver. Oops! On our free day a group of us headed over to the Garden District on the street car and did some shopping as well as house spotting. We saw the American Horror Story Coven house and all took pictures in front of it. It's so huge and beautiful, and I just want to live in it. So much walking that day though, my feet were killing me! On the last night we had a farewell dinner with the whole class. We had a preset menu and this was called The Taste of New Orleans. 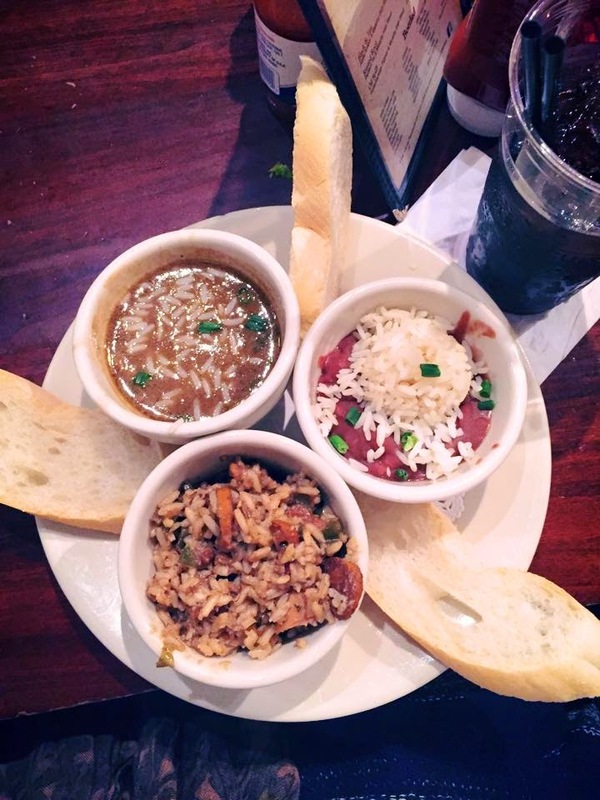 It had gumbo, red beans and rice, and jumbalaya. To be quite honest, it didn't taste all that amazing, but it looked nice! 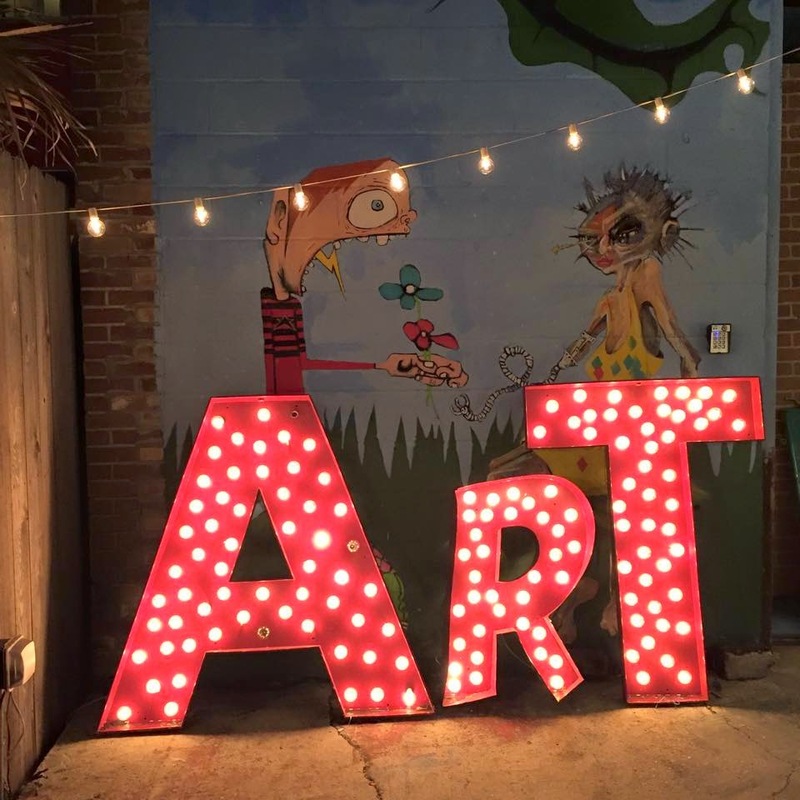 After dinner our last adventure was to this late night art market on Frenchman street. There were a bunch of little vendors with jewelry, art prints, clothes, etc. It was also absolutely freezing that night, and I couldn't feel my face when we were walking back to our hotel. This was one of the greatest weeks of my life, and I'm so happy with all the friends and memories that I made in New Orleans!